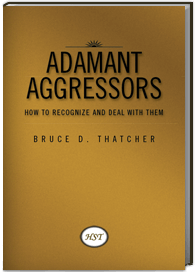 ADAMANT AGGRESSORS: How To Recognize And Deal With Them The lessons in this book may not ensure that the best choices will be made today, but understanding them will surely help to reject demonstrated bad choices and, thus, more likely arrive at better choices. If you wish to purchase more than one book title, please select 'continue shopping' on the PayPal page (choose yes to close the PayPal page if prompted. Your previous purchases will be saved). When you are finished selecting items to purchase, check out using a credit card (Visa, Mastercard, Discover, American Express) or PayPal. If you would like your book to be signed by the author, please contact HST and indicate your request in the 'Message Box'. 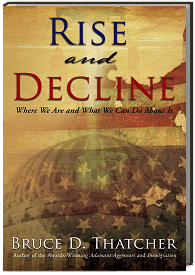 You can also purchase HST Books through many online retailers. Participating in the HST Project is easy! Leave a comment or contact HST directly.